If you’re ready to look better and feel better by reaching a healthy weight, take a multifaceted approach for the best results. Suffering From High Blood Sugar Symptoms? Is Your Daily Fatigue a Sign of Something More Serious? Weight loss tips – #2 Get motivated and set realistic goals. This is probably the most important of all the weight loss tips. Without proper planning, you’ll be enticed to give up within a few weeks or even days. Use this resource to help you: Complete Step-By-Step Guide on How to Lose Weight. Feeling Sleep All the Time? Wake Up With a Detox! Weight loss tips – #5 Begin eating healthy. You can follow a detox program but it will all be for naught if you continue to consume unhealthy foods on a daily basis. But, you don’t need to go on a major fast to lose weight. 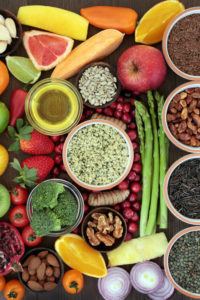 In fact, a detox program or diet plan that urges you to starve yourself, drink your daily calories, or any program that offers a quick fix to your weight loss woes will probably do more harm than good. As a rule of thumb, remember it’s not about the quantity of foods you eat; it’s about the quality of your food. Being careful about what you eat—and what you don’t eat—significantly impacts every part of your well-being: the way you look, the way you feel and even the way you act and think. To achieve long-term weight loss, you need to remove the damaging foods from your diet. Our FREE report, Natural Health 101: Living a Healthy Lifestyle gives you helpful tips for healthful eating. With our healthy eating plan and the additional weight loss tips provided in our report, you can learn how to lose weight in a healthy way… and keep it off! Why Am I Always Hungry Even After I Eat? Weight loss tips – #6 Start exercising. It’s a no brainer that exercise helps with weight loss. But, the most difficult part of exercising is actually going out and doing it. If you need a little extra motivation, use this resource: How to Get Motivated to Exercise. The Controversial Flax Seed: Benefits Your Health or Not? 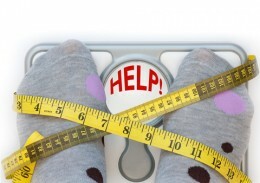 Weight loss tips – #10 Find an integrative doctor to help you. Consider getting professional advice from a doctor or counselor to help you achieve your weight loss goals. Our Directory Listings can help you find a holistic doctor or practitioner in your area. We hope you will find these resources useful. Once you melt away the pounds, tell us about it in the “Comments” section below. By doing so, you can encourage others who are looking to achieve healthy weight loss or overcome their ailments using natural remedies. Int J Mol Sci. 2009 April; 10(4): 1465–1475. adrenal fatigue, always hungry, alzheimer, anxiety, anxiety and depression, anxiety in women, bacteria, blood sugar, blood sugar symptoms, bone, bone loss, calories, causes of depression, chronic stress, conquer stress, constipation, constipation remedies, corn, daily fatigue, dementia, dementia symptoms, depressed, depression, depression and weight gain, depression symptoms, diet, digestive, Digestive Issues, exercise, fatigue symptoms, fatigued, find a holistic doctor, flax seed benefits, food, get motivated to exercise, headaches, health, health 101, health problems, healthy eating, healthy eating plan, healthy lifestyle, healthy weight, high blood sugar, holistic, home remedy, hormone, how to get motivated to exercise, how to lose weight, integrative, lavender, Lose Weight, low magnesium, low magnesium symptoms, low testosterone, magnesium, memory, memory impairment, motivated to exercise, natural health, natural health 101, natural remedies, natural remedy, natural remedy for anxiety, oregano oil, oregano oil uses, organic, osteopenia, osteopenia and osteoporosis, osteoporosis, osteoporosis guidelines, pain, pains, postmenopausal, postmenopausal women, red yeast rice side effects, reduce triglycerides, reduce triglycerides naturally, remedy for anxiety, report, side effects, signs of anxiety, signs of anxiety in women, sleep, stress, stress anxiety and depression, sugar, supplement, supplements, testosterone, to reduce triglycerides naturally, toxins, Triglycerides, vitamins, vitamins and supplements, weight gain, weight loss tips, why am i always hungry, why am i always hungry even after i eat.